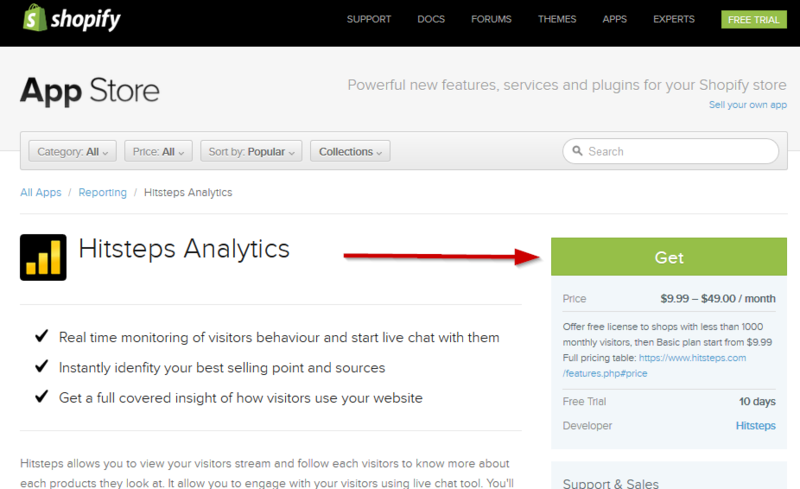 Since we have launched Hitsteps Shopify App last week, we have applied many minor changes to perfect it. It is a deal breaker for your business and make you be able to understand your visitors in deeper depth. Open Hitsteps App in Shopify here. 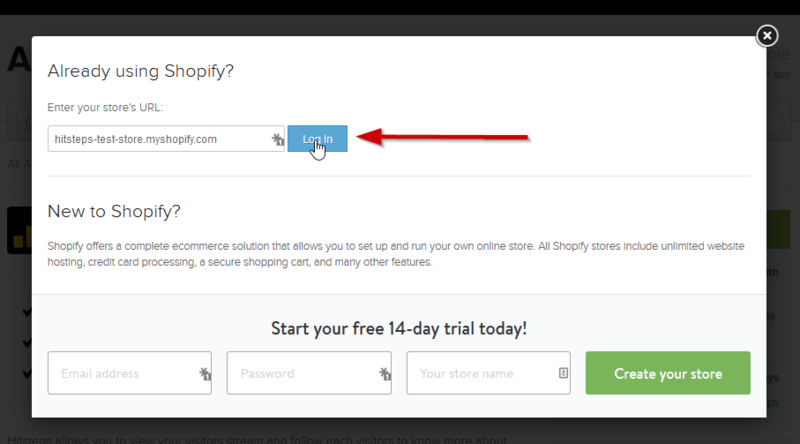 If Shopify Asked you to enter your shop info, enter it. Otherwise go to next step. Shopify need to ask for Install confirmation. 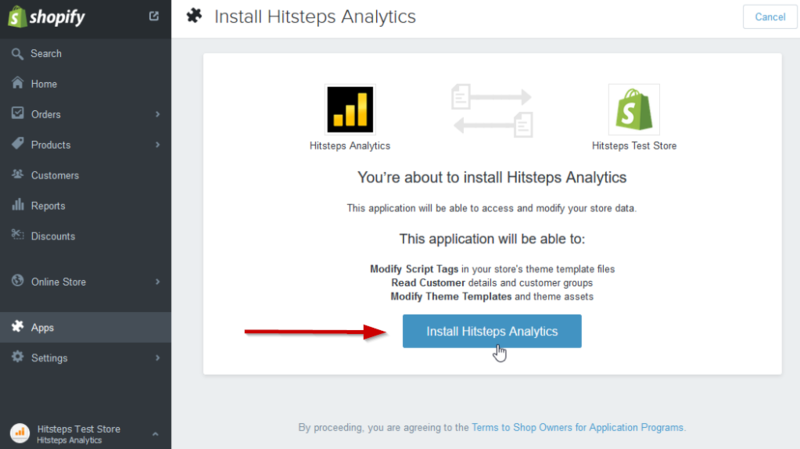 Please Install hitsteps shopify analytics. 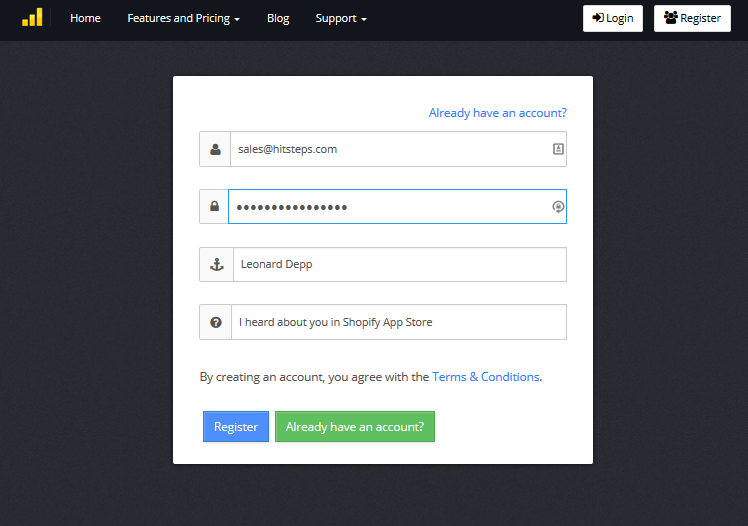 You’ll need to create your Hitsteps account (or login if you already have an account in hitsteps) Just fill up the form. 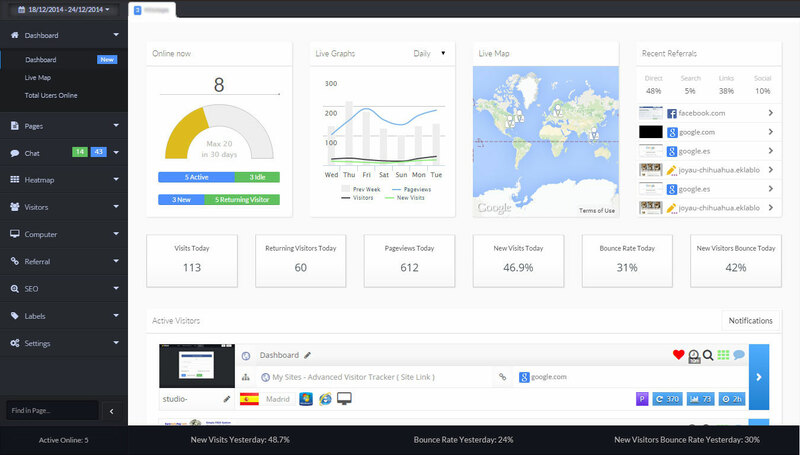 Enjoy looking at flow of your visitors in your newly created hitsteps analytics dashboard.